The Furnace Creek Resort is situated in a lush oasis surrounded by the vast and arid desert of Death Valley National Park, California. 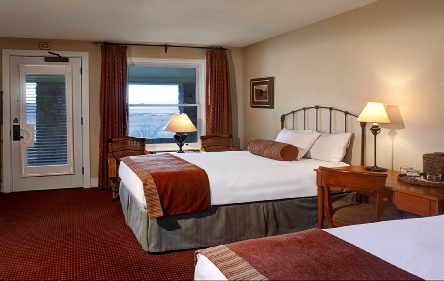 Standard Rooms take advantage of the views over the oasis garden, desert vistas or Panamint Mountains and have a king bed. Standard Terrace Rooms are located on the Terrace above the pool and offer beautiful garden, desert or mountain views. Deluxe Rooms are slightly larger rooms that take advantage of the views of the oasis garden, desert vistas or Panamint Mountains. Luxury Spa Rooms offer even more space for our guests and are located in the North Wing. Along with beautiful garden and desert views, these rooms feature a king bed, a full bath and a spa tub. 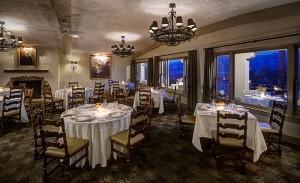 The Inn Dining Room offers fine dining at breakfast, lunch, and dinner with stunning views of the desert salt pans and the majestic Panamint Mountains. There are various activities available, including hiking and horse riding, and there is a swimming pool. Furnace Creek Resort is the perfect vantage point from which to explore Death Valley National Park. This is one resort with two hotels, Furnace Creek Ranch, which is more family orientated, and Furnace Creek Inn. 2019 package holidays to the Furnace Creek Inn Death Valley Prices are per person based on two sharing, including flights, transfers and accommodation, and are subject to availability. Flights from Heathrow - other departures also available, call for details.